2012 was a very surprising year. 2011 was definitely exciting, but this year saw me travelling a lot more and making links with people all over the world. Here’s most of what I got up to this year. 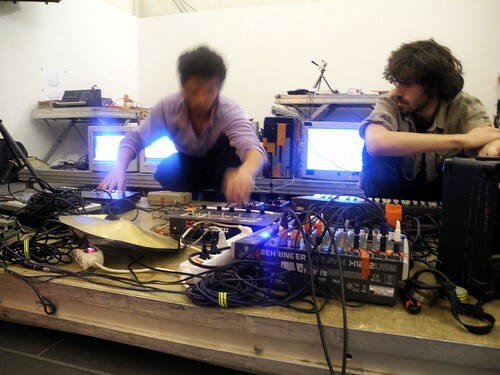 As usual, January was a quiet month, with one exception: In addition to helping to organise Network Music Festival, I did two performances: one with BiLE and the other with Freecode. I started this month with my graduation ceremony. 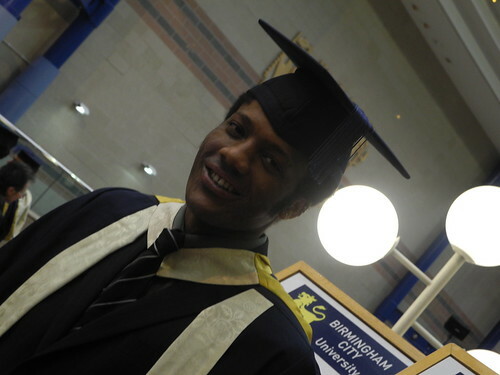 I had finished my MA in Digital Arts in Performance at Birmingham City University in October 2011, so it was nice to have a proper send-off! 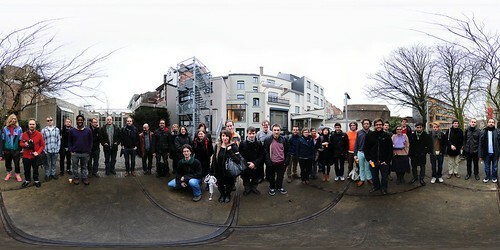 Later that month I made my first international trip to take part in the Co-Position meeting for the Libre Graphics Research Unit in Brussels, Belgium. It was great to see the guys at Constant again and to many other practitioners, thinkers and hackers that are interested in open source software tools for the creation of art. I published a report on the activities at the meeting for Furtherfield. As soon as I came back work from international glitchers, myself included, were included in the Bus Tops exhibition that took place around London. Here’s a short video. BYOB Birmingham, which took place as part of Flatpack Festival, was the main focus for this month. Myself and Pete Ashton brought together 18 artists from around the UK, 23 projectors and three musicians to VIVID for one night of video projection. It was a highly successful event and a great way to start my year of curating exhibitions. When I’m not glitching, one of my favourite things to do is cycling-related activities. Papergirl is an idea that originated in Berlin in 2005, where rolls of art are distributed on bicycles to an unsuspecting public!. 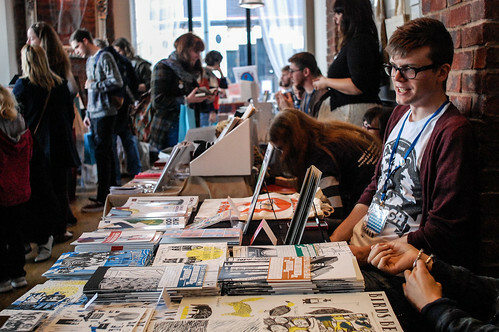 Kate Grundy, with support from 48 Sheet, made Papergirl Birmingham happen. On 28th April lots of cyclists gathered to distribute art! I supplied some prints from I Am Sitting in a Room. Some unlucky person in Birmingham has these! Another quiet month for my digital art. I played a small part in organising the The Big Vintage Ride. 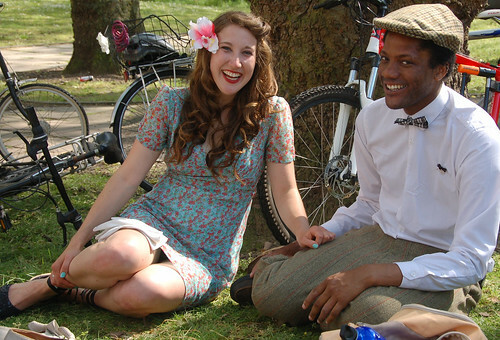 More than 100 people, dressed in their best vintage attire, cycled across the busy streets of Birmingham on a hot May afternoon. There’s lots of photos and a video of the event. Something In The Water, a magazine by Ross Cotton that I provided a few illustrations for, also came out this month. I joined Freecode once again to perform a very improvised set at The reUNION in London. Despite the pouring rain, BYOB Leicester happened. It was great to meet other digital artists from/based in my home town and was cool to meet hexler as well! I then used my tech skills for something other than glitching and performing! For the week of 6-12 August I was working with 3D Native to help a group of under 18 year-olds to build apps for the Young Rewired State Festival of Code. The team sadly didn’t win any prizes but it was amazing to see the skills of these youngsters, some of whom had started coding since age 6! 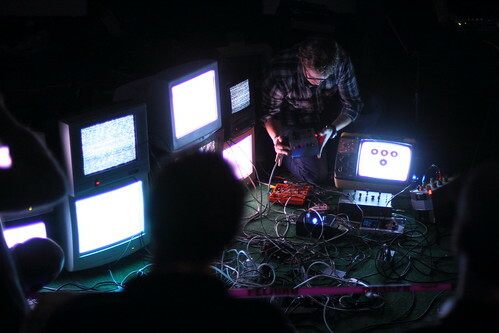 I started this month in Manchester in the presence of many chiptune and 8-bit musicians. On 1st September I did my final gig with Freecode at the first SuperByte festival. It was a very fun night, and I was happy to meet some of my internet friends, including Henry Homesweet. This month started the busiest 2.5 months of my life! I started October by hacking a toy for TROVE’s third birthday on October 12th. The day after that the third annual BZF Independent Publishing Fair took place, which I helped to organise. It was the biggest BZF yet and was very well received by exhibitors and attendees! 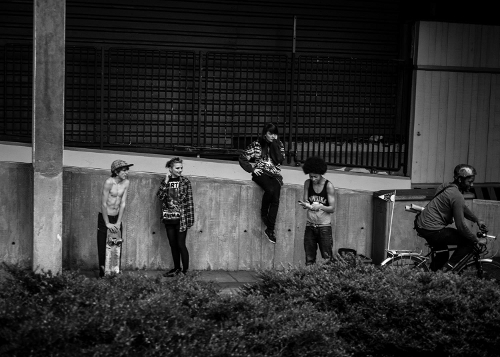 There’s lots of photos on Flickr. I stayed up till 4am the following day (14th) to catch a plane to Arles, France to take part in Databit.me for a week. In addition to taking place in a very beautiful small town, the festival itself was amazing! Lots of artists travelled from many corners of Europe for a week of performances and digital experiments. 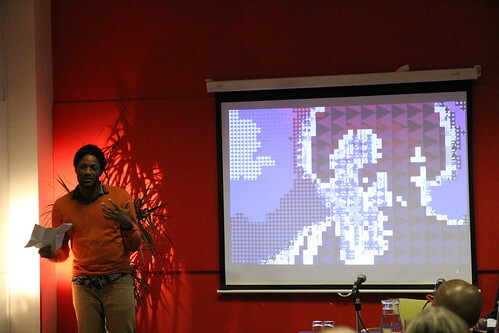 The festival saw me give a Pure Data tutorial, a lecture and I also did my first solo audio and visual performance. I’m planning many more, so watch this space! With no time to rest, I jumped straight back into action! I gave a Pecha-Kucha style presentation about glitch art, my other work and being a Birmingham-based artist at “Brand” New Generation on the 1st. The next day it was time for another festival! Flip Festival is an annual animation and digital art festival that takes place in Wolverhampton. 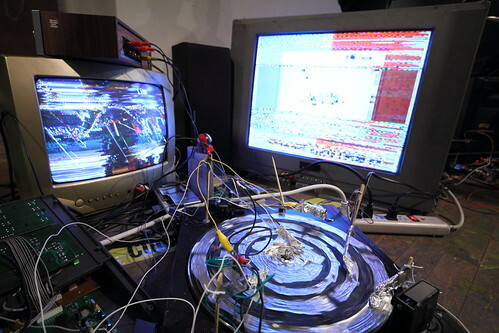 In 2011 I curated a small screening of glitch videos in preparation for GLI.TC/H 20111. This year I did much more! On the 2nd I gave another Pure Data workshop, followed the next day with the curation of another event! 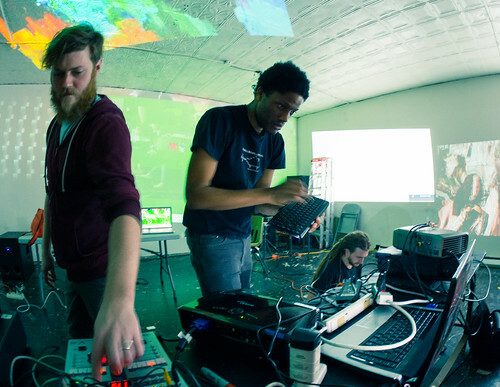 The People VS The Machine was a night of livecoding and live illustration, loosely themed around a cyborg uprising! The exhibition continues until February 2013, and all of the works are for sale. I then launched Comic Sans Must Die, which was a short project that progressively destroys everyone’s most hated font! 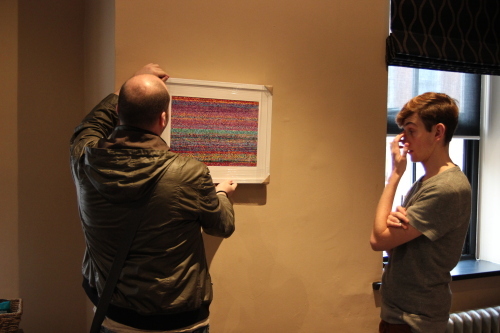 To round off this month I took part in the Midlands Experimental Moving Image Collective’s first exhibition. December is usually a very quiet month, but thanks to the generosity of a friend (thanks, Jon!) I jetted out to Chicago for the third annual GLI.TC/H conference/festival/beerfest/gathering on 6-9th. You may remember that the festival stopped off at Amsterdam and Birmingham last year. This year it stuck to its Chicagoan roots for a very intense four-day event. For the event I gave another Pure Data workshop (noticing a theme?) and I teamed up with Daniel Purvis to present, amongst other things, AlphabeNt. It’ll be out very soon, honest! GLI.TC/H was great, and I already can’t wait to be back in Chicago!